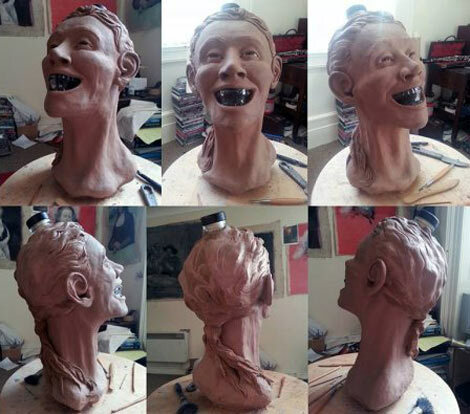 The result kind of looks like Gollum, with a ponytail and grill. Dan Aykroyd’s Crystal Head vodka is pretty fly, given that it’s shaped like a human skull. If you’re a normal person, you’d think: that bottle’s cool, maybe I’ll display it on my bar at home as a conversation piece. 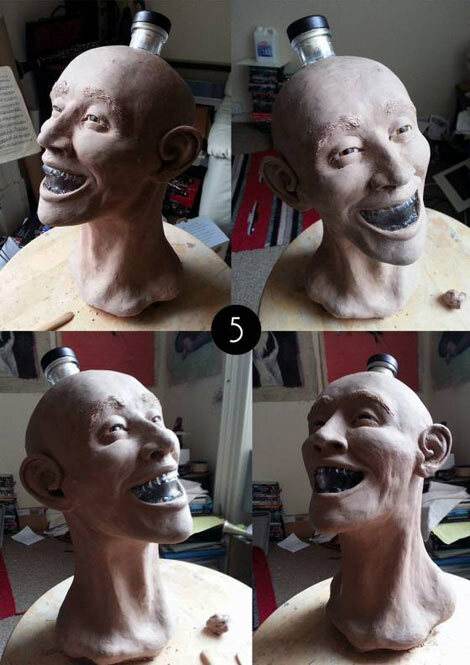 But if you’re a forensic artist like Nigel Cockerton, you’d think: I need to use my professional skills to unveil the human who might have been wrapped around the skull at some point in history. 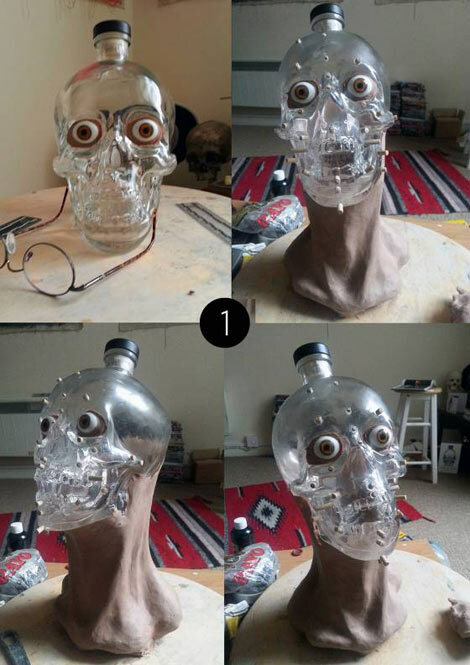 Grub Street’s Hugh Merwin points out that this is exactly what Cockerton—who holds a Masters in Forensic and Medical Art from the University of Dundee, Scotland—did when he got his hands on a bottle of Crystal Head. 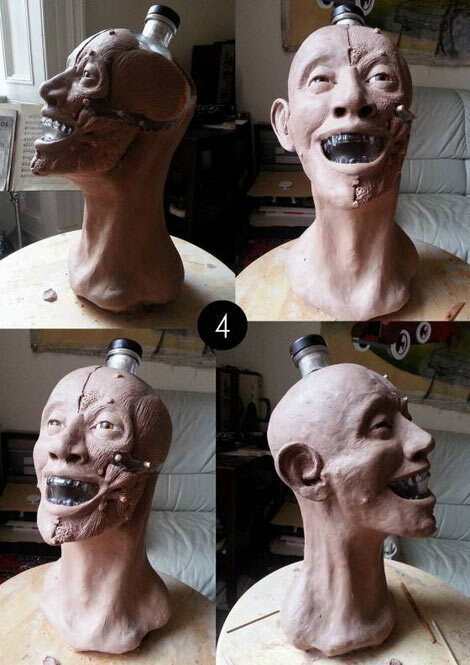 Cockerton took pictures along the way, documenting the process of facial reconstruction in clay. First, Cockerton fitted in glass eyes, then he sculpted the facial musculature using depth markers, and then he finally laid the skin over the top and gave the head a ridiculous man ponytail. 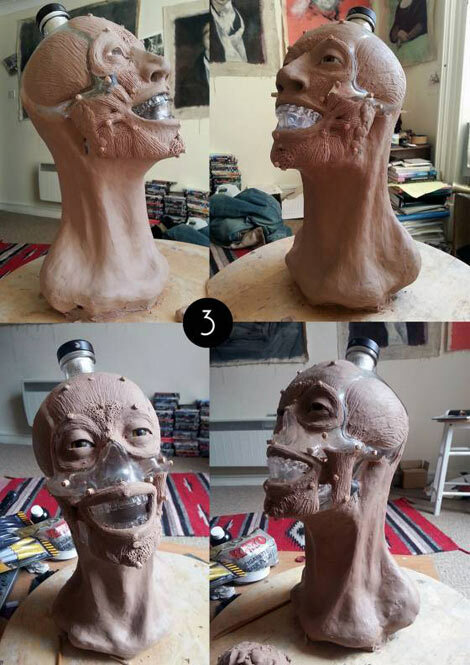 The results are impressive, but the head kind of looks like gollum with a crazy grill. 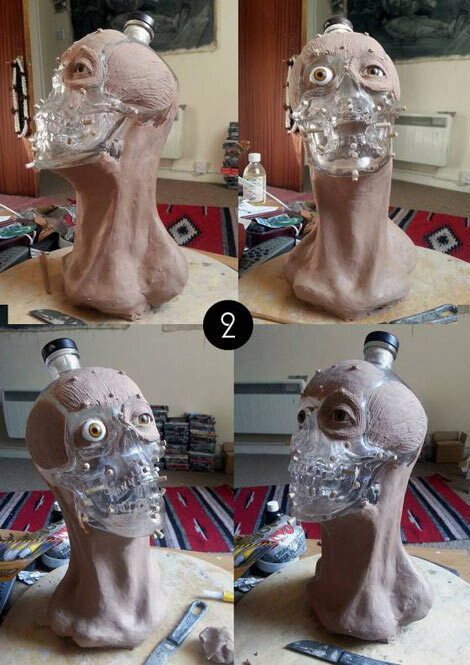 Check out the full set of pictures below, sourced from the Crystal Head Facebook page. Now, watch Detroit rapper Danny Brown taste test Crystal Head Vodka and other celebrity-endorsed booze.